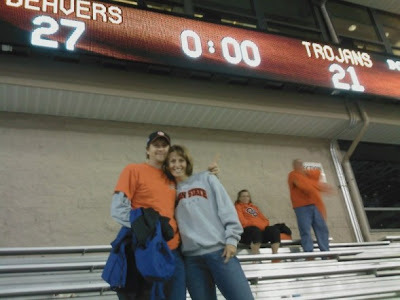 This isn't really art related (at all), but my wife, Rachelle, and I had the chance to go to the Oregon State - USC football game on Thursday. We were expecting a USC blowout because they were ranked #1 in the country. 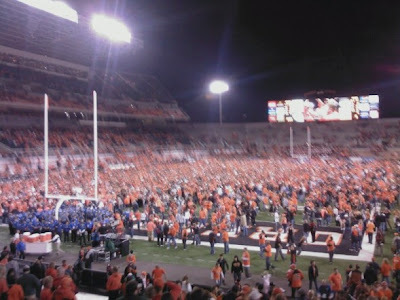 However, the Beavers pulled off the impossible. The place was a madhouse. The only real way to describe the scene especially late in the 4th quarter was deafening pandemonium! It was incredibly fun to be there. FYI, the below photos were taken with a cell phone. 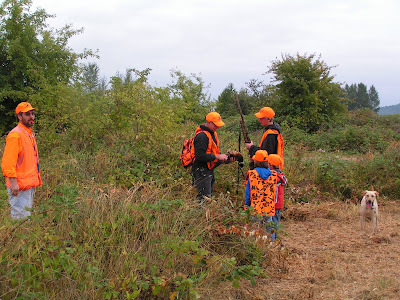 Our annual youth pheasant hunt took place last weekend and will again this weekend. It is a great time for the kids. 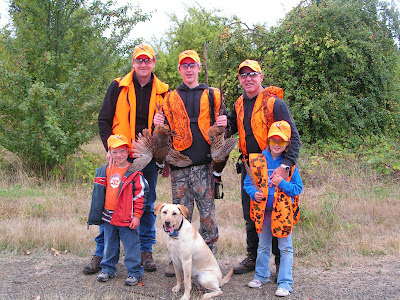 Mine are too young to hunt but they enjoyed the hot chocolate and donuts and got to see their cousin Kameron get his imit of two birds in six minutes! I'm looking forward to this Sunday again. All of us after the hunt. These wigeon are coming into a pond that they use on a regular basis. Overnight it froze and although they will sometimes land on the ice, they usually head for open water. The coolness of the scene brings back memories of breaking ice while hunting so they do have a place to land. 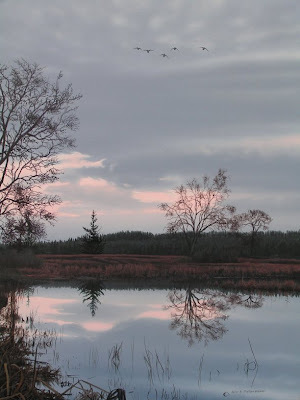 This is a private, local pond that is seasonal, so it dries up during the summer months. 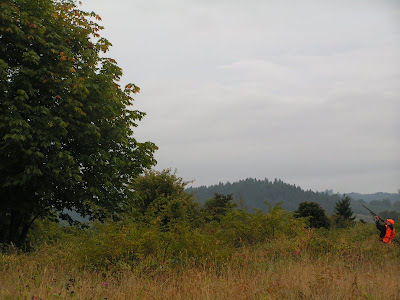 However, it is near the Willamette River and attracts good numbers of ducks when it holds water. This painting depicts a fairly typical morning. The flight is usually pretty fast and furious around first light and slows as it gets later. 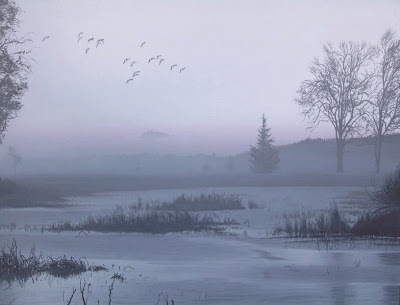 One thing that I noticed with this piece is that when it is in darker light, the landscape looks like it is earlier in the morning. 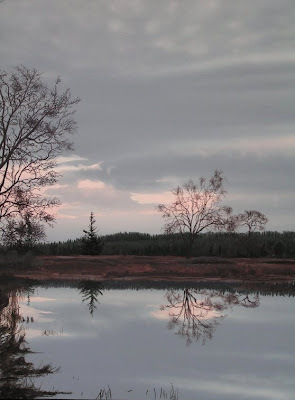 If the painting is in brighter lighting it looks later in the morning. So, if you look at it in natural light as the sun comes up, it gives the viewer the feeling of actually being there and witnessing the sunrise. Below are a couple of photos showing the progression of a new painting that I am working on. (The eagle and rocks are getting a breather) You can see from the bottom picture, which is the older version, that another deer has been added and the large juniper tree has actully been broken into two trees. There are going to be lots of grasses and the streaking, low sunlight should become more apparent as the painting progresses even more. ...more detail has been added and I am going to take it even further with the rock detail. With this painting I am focusing on the subtleties of the rock. There are so many colors and nooks and crannies. 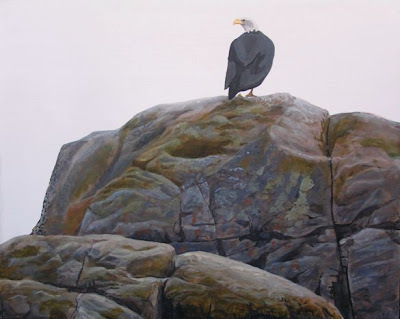 It has been fun to explore and although the eagle appears as the focus, the rocks have been fun to work on. 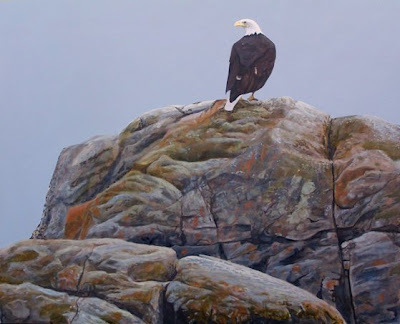 I may get into the back feathers of the eagle in much the same way I am approaching the rocks - but I am a ways from getting to the detail of the bird. It is there more for perspective than anything right now.